The launch follows months of research and development during which time the Mitre team has been investigating and sourcing the finest eco-friendly products to ensure that the finished collection is green to its core. This helps deliver on the company’s famous commitment to quality, comfort and durability. Made from 100 per cent organic cotton and with a 200 thread count, Mitre Eco bed linen is a classic, crisp white range that feels beautiful and soft to the touch. The cotton also conforms to the Global Organic Textile Standard (GOTS) certificate which means it is guaranteed to be free from potential skin irritants. 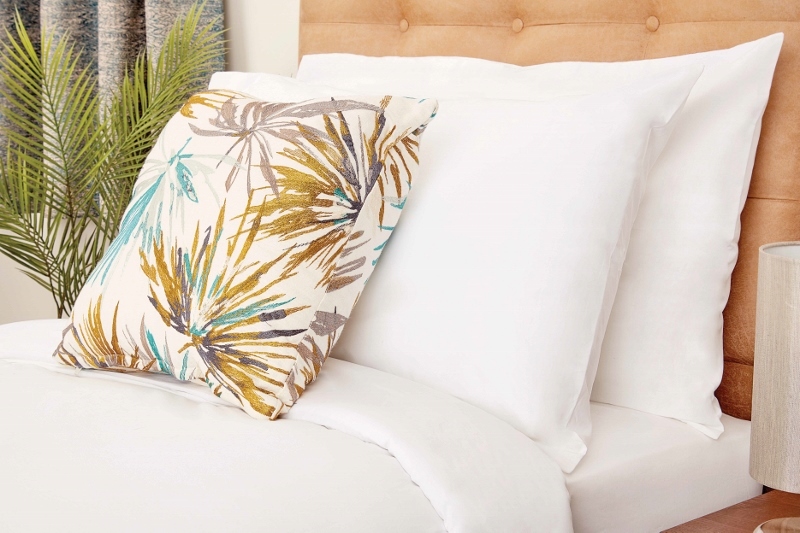 The pillowcases, sheets and duvet covers are all made from organic cotton grown in a sustainable way to help support the bio-diversity of local ecosystems in the countries of origin. The cultivation methods ensure that farmers are not exposed to pesticides and chemicals. The new Mitre Eco soft and generous towels are also made from 100 per cent organic cotton in high quality 500gsm. The range comes in a selection of sizes and is designed to fit well and launder superbly, making it ideal for all hospitality applications. Mitre Eco duvets and pillows have fillings made from recycled plastic bottles which are extruded into soft, non-allergenic fibres. This process produces around 70 per cent fewer carbon dioxide emissions, uses 70 per cent less water and 40 per cent less energy compared to standard fibre production, but is as soft and warm as traditionally manufactured alternatives. The new range is consistent with Mitre’s continuing commitment to reducing negative impact on the environment. This is further highlighted by the new brochure which includes nearly 1000 new lines and is printed on recyclable paper using solvent-free ink and which is wrapped in 100% recyclable oxo-degradable polythene.